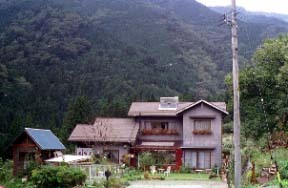 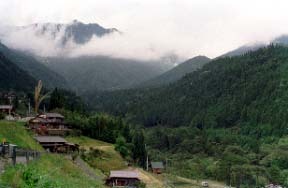 In a Norimasa complete view and a hot spring, the Terada hut mountain appears from about 500 m of this back, and behind the coulds. 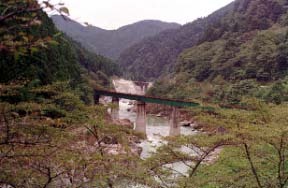 About 30 minutes after "Hiraname Falls" 50 m in width, a waterfall like a cross-over launching platform 500 m in length, and an Onsengoya. 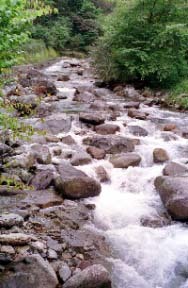 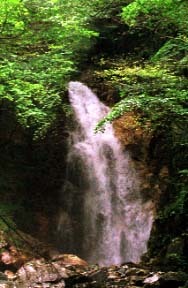 The scale of "Sanjo Falls" No.1 of Japan which drops the main stream in free Migawa at a stretch, and this animateness are musts.